There are plenty of services out there to help you find the perfect flight. Kayak and Hipmunk are two that immediately spring to mind, but Superfly aims to stand out by offering a service that takes you, as well as the available journeys, into account. 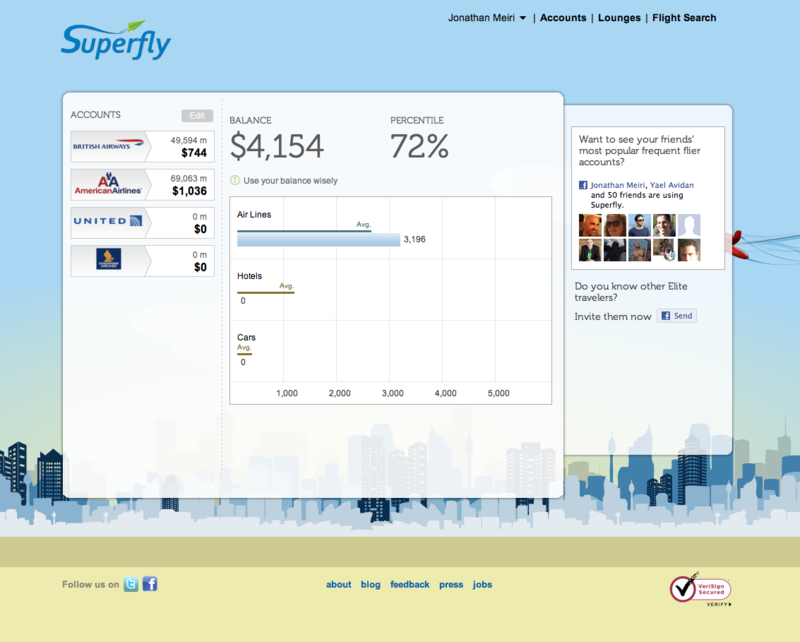 Superfly launched last year as a way for users to track money saved with travel loyalty reward programs. With the introduction of flight search, it hopes to show regular fliers that the cheapest or quickest option isn’t always the best value. Once you’ve entered your loyalty scheme details for the airlines you use into Superfly, it will track your accounts and take that data into consideration when displaying travel results. In addition to the flight’s price, you’ll get an overall flight ‘value’ figure. The Israeli startup’s CEO Jonathan Meiri explains that loyalty programs can have a real bearing on the best travel option, especially on competitive intercontinental routes. Information such as frequent flyer miles, elite statuses, rewards programs, and more are taken into account and Superfly will learn about users’ preferences as time goes on to increase the level of personalization. Superfly is particularly targeting frequent, premium fliers in the US and Europe, and Meiri says that 80-120 million people collect air miles in the USA alone. 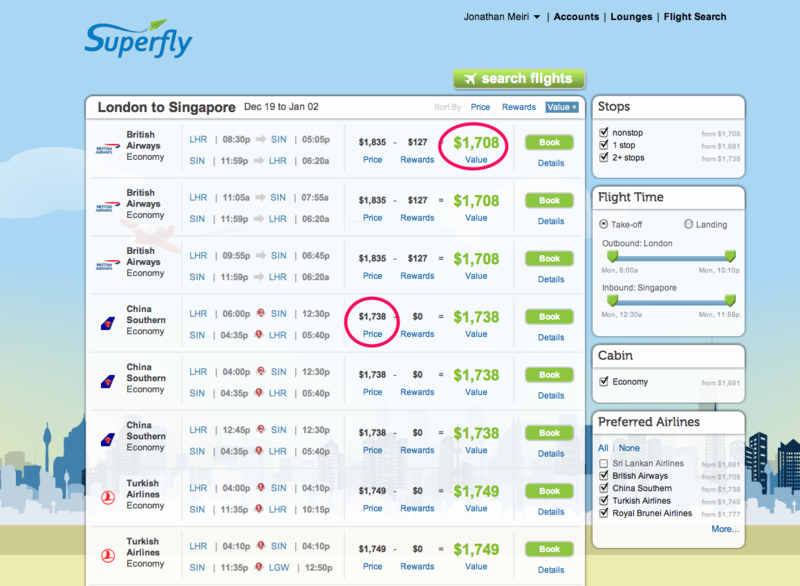 In the future, Superfly plans to add support for other kinds of travel search, such as hotels and car rentals.